A multitude of opportunities exist for students in the College of Science to develop personally and professionally. To learn how to get started now contact the College of Science at: sci@cpp.edu. This scholarship was established to honor a respected former colleague, Dr. Harold Lint. 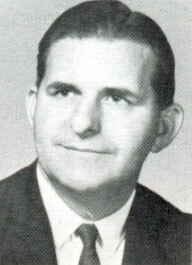 Dr. Lint joined the faculty in 1947. During the 33 years he served at Cal Poly Pomona, Dr. Lint taught a remarkable variety of courses ranging from entomology and plant pathology, to math and English. Dr. Lint's love of botany (especially rushes, Juncus) and his love for his students, made him one of the most effective instructors on campus. In addition to his duties at Cal Poly Pomona, Dr. Lint worked summers as a park ranger in Grand Canyon, Lasson National Park, and the state of Washington. His genuine concern for plants and the environment, which he began voicing 30 years before they became popular issues, was the reason this scholarship was established in his memory. The Scholarship will be called the Dr. Harold L Lint Memorial Biological Sciences Scholarship. Each Scholarship will be a minimum of $500. The number and amount of annual awards are subject to annual change depending upon the available pool of endowment earnings. If the Selection Committee concludes that no worthy candidates have applied during the year, it may elect to make no award. A plaque listing the names of all recipients will be placed in a prominent position within the Biological Sciences Department Office. The goal of the scholarship program is to award one or more scholarship(s) annually to recognize senior and graduate biology students with superior academic record and promise. This scholarship will be awarded to a student who has demonstrated superior academic performance and commitment to the study of biology. Accordingly, applicants must have earned 3.30 or greater GPA for all core and support courses in his/her undergraduate major and a 3.0 or greater overall grade point average in all university level work since achieving sophomore status. Applicants who have overcome poor performance during the freshman year are encouraged to apply if they otherwise meet the GPA requirements. Applicants who are graduate students must have earned 3.30 GPA or greater in all completed post-baccalaureate course work as well as the baccalaureate requirements specified above. To qualify for consideration an applicant must either have achieved senior (135 quarter units completed) or graduate standing or will have achieved such standing by the beginning of the Fall Quarter following the award. Moreover, applicants must have been enrolled full-time in one of the Department of Biological Sciences' degree programs for a period of not fewer than three academic quarters in the calendar year prior to applying and have sufficient academic obligations remaining to require continued residence at least one academic year following receipt of the award. Previous awardees are ineligible for consideration. Unsuccessful applicants may reapply if they maintain eligibility. Candidates will apply for the Scholarship through the University Scholarship Program administered by the Office of Student Financial Aid. A complete application will include the Cal Poly Pomona University Scholarship application form; a personal statement addressing the applicant's interests, activities, accomplishments, and plans for a career in biology; three letters of support, at least two of which must be from faculty in the Cal Poly Pomona College of Science; and official transcript(s) of all university course work. Selection will be based on academic record and promise as evidenced by the required application materials. The awardee selection process will be administered by the Dr. Harold L Lint Memorial Biological Sciences Department Scholarship Selection Committee. The Dr. Harold L Lint Memorial Biological Sciences Department Scholarship Selection Committee will comprise the chair and two other tenure-track faculty members of the Biological Sciences Department. Scholarship guidelines and procedures, including number and amount of awards, are subject to periodic review by the selection committee. Annual scholarship guidelines, procedures and related information will be reflected in program announcements. The Dr. Harold Lint family has requested that they be notified regarding the scholarship recipient's name, major, and expected year of graduation. Cal Poly Pomona Foundation, Inc. will manage the investment of the Dr. Harold L Lint Memorial Biological Sciences Department Scholarship endowment fund. The principal of Dr. Harold L Lint Memorial Biological Sciences Department Scholarship will forever remain intact. The minimum award amount will be $500; scholarship amounts and number of awards will be determined by the Selection Committee. The Selection will seek to exhaust available annual earnings from the Endowment as scholarship awards.